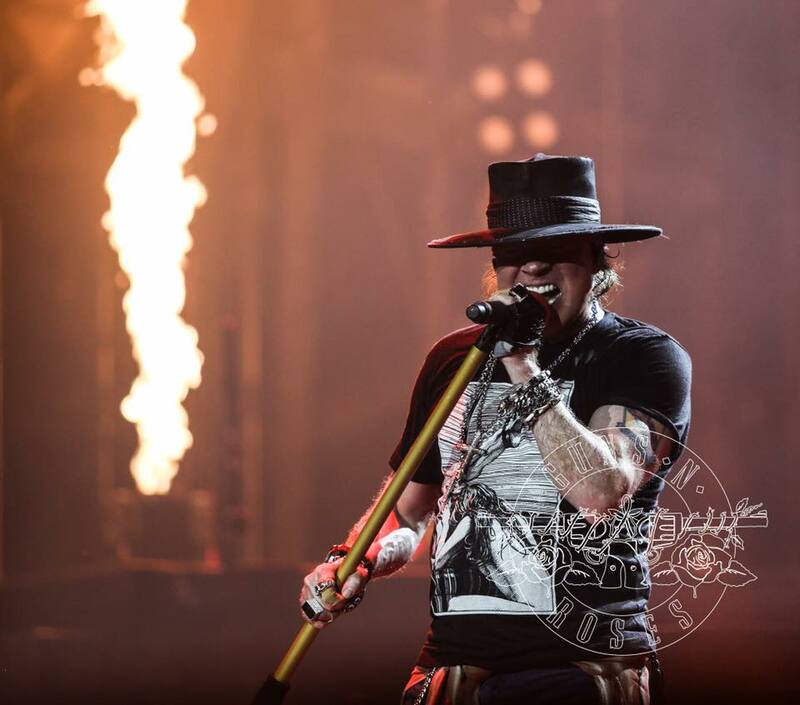 Guns N’ Roses leader Axl Rose commented on the possibility of new music from the band following the completion of the summer 2018 leg of their Not In This Lifetime world tour. "Right now our focus is on touring and the shows,” Rose tells Iceland Magazine after the group’s July 24 gig in Reykjavík, “but everyone seems to be getting along so you never know." The reunion trek by Rose, Slash and Duff McKagan – which was launched with a rare club show at The Troubadour in Los Angeles on April 1, 2016 – is now in its third year and is among the top five biggest-selling concert tours in music history with sales of more than $500 million. The lineup delivered a 3.5 hour show in Reykjavík before a crowd of 25,000 fans – or 7% of the Icelandic nation – making it the largest rock concert ever held in the city. Asked how Guns N’ Roses has managed to maintain a high quality show throughout the extended tour, Rose explains: "Everyone just wants to do their best for the fans, each other and our crew. Everyone pushes each other with their performance and commitment. And with highlights, every show, every crowd is different with something to remember about each one." Guns N’ Roses will resume their 2018 dates this fall with a series of dates across Mexico and the Far East.